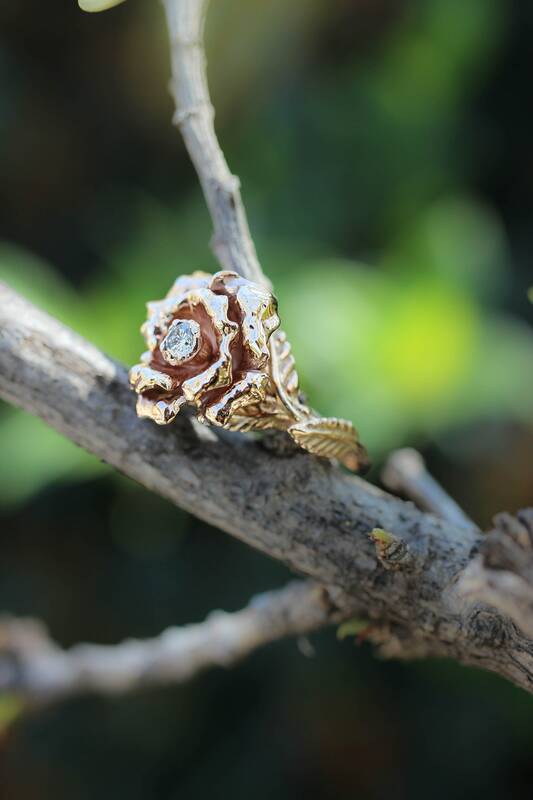 This adorable rose flower engagement ring is for sure unique and very charming. 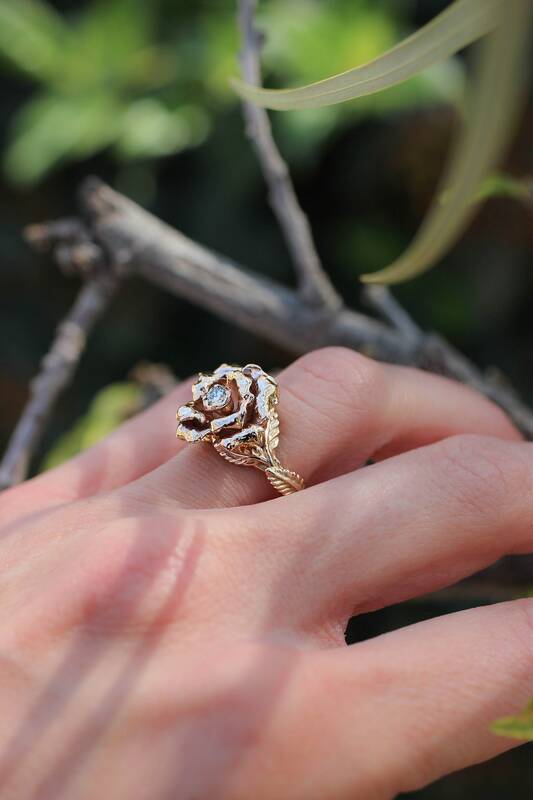 Our proposal ring from the collection of rose gold floral jewelry may be an excellent bride or wife gift idea. 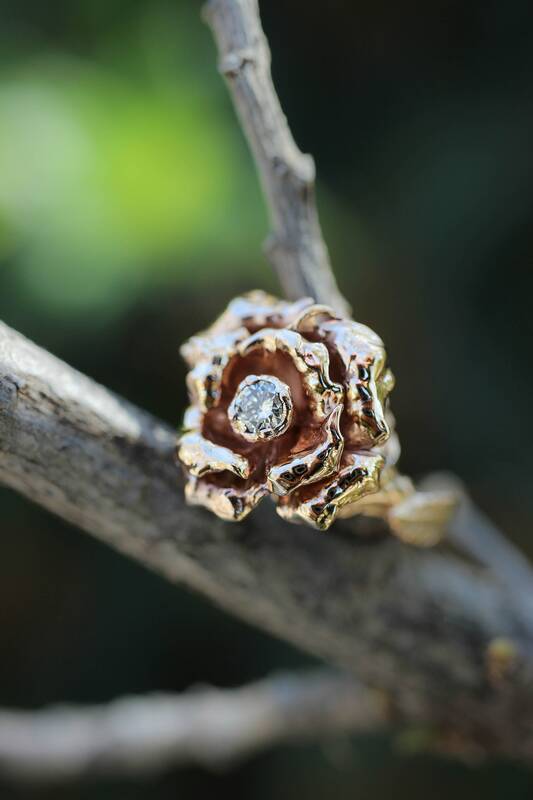 The gold rose flower ring is hand-sculpted from the solid 14K gold sheet and adorned with natural round cut diamond. 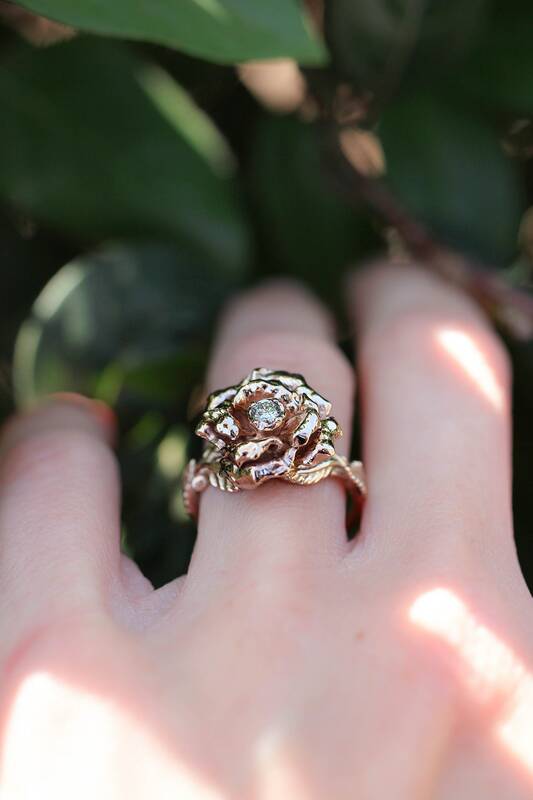 This rose flower promise ring features a botanical design with amazingly detailed flowers. 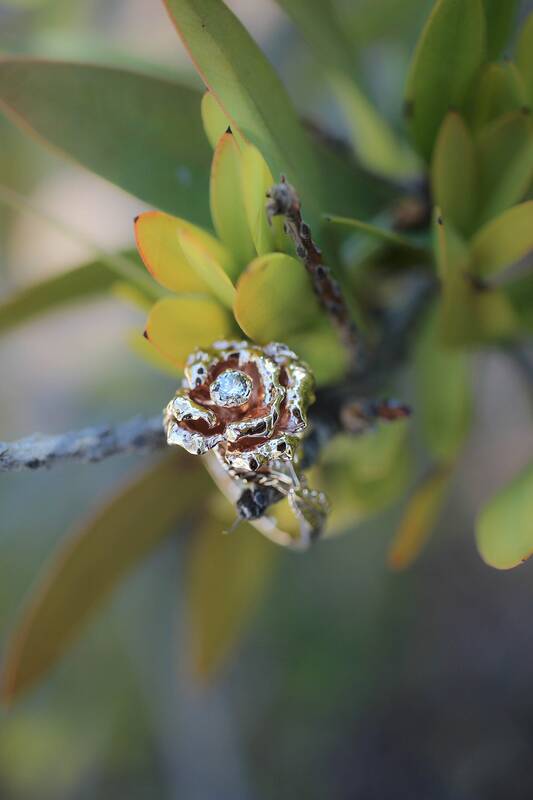 Flower looks very delicate but the ring is sturdy and non-catchy. 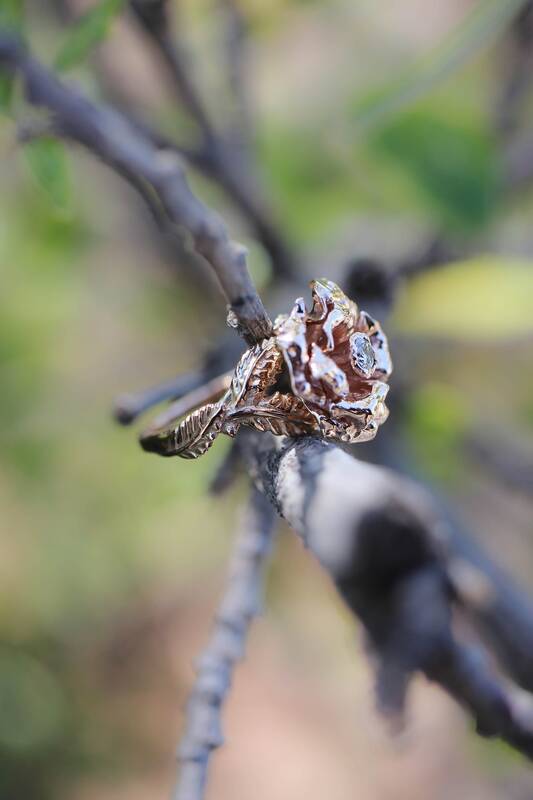 Unique diamond ring is ONE OF A KIND due to handcrafted techniques. We can make similar romantic rings, but never copies. Sizes above 10 US- extra charge, please contact for details. - starting from 2 weeks. 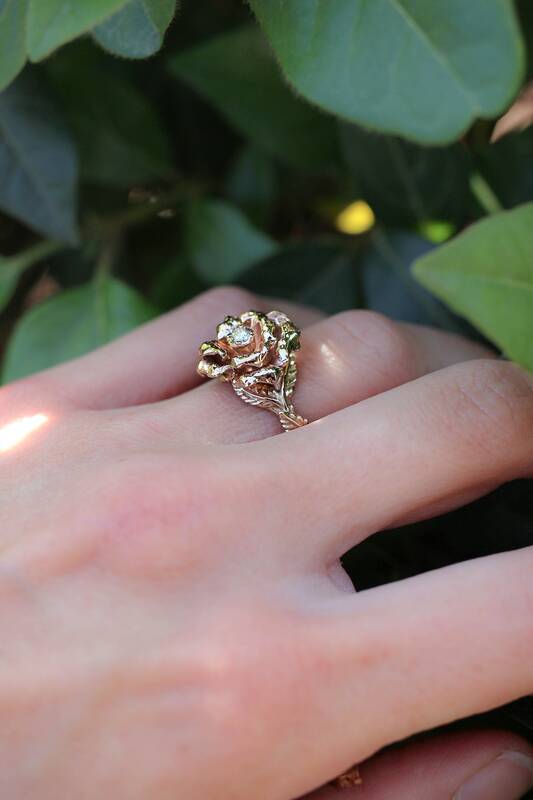 available in rose (pictured) or yellow gold. Diamond: natural, 3 mm in diameter, 0,1 ct, color H, VS clarity. Other sizes/quality diamonds are available upon request. 14K gold ring comes in an elegant black box and is ready to give. 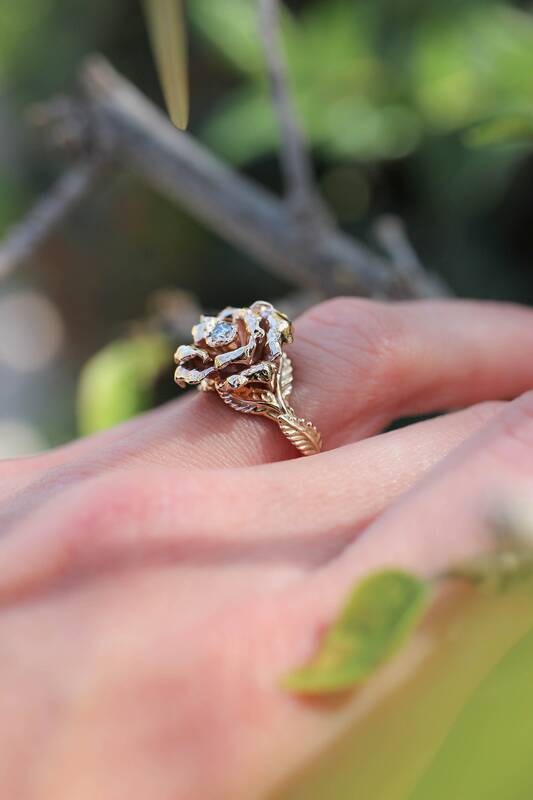 This gold rose engagement ring is 100% handcrafted work, we don't use 3D design or molds, only ancient techniques which give a real touch of handmade work. We offer limited edition proposal and engagement rings which can't be reproduced in many copies due to technical reasons. 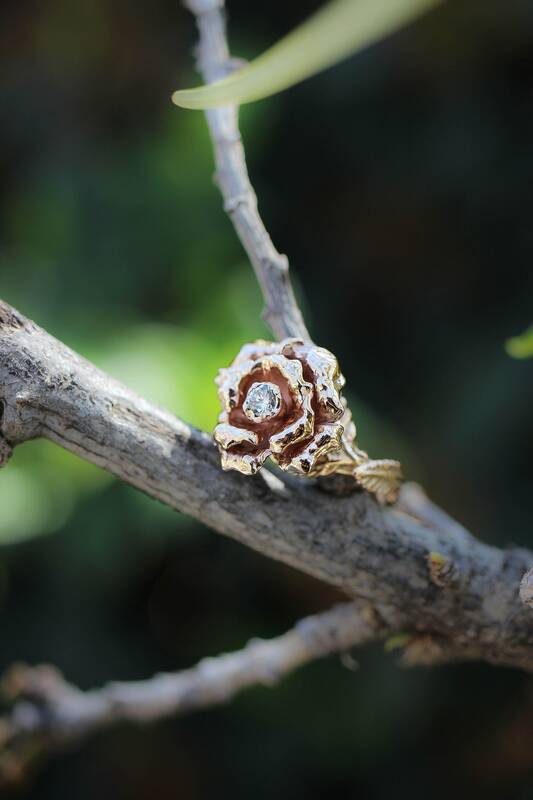 It gives the guarantee of a unique engagement ring which will be cherished by generations. 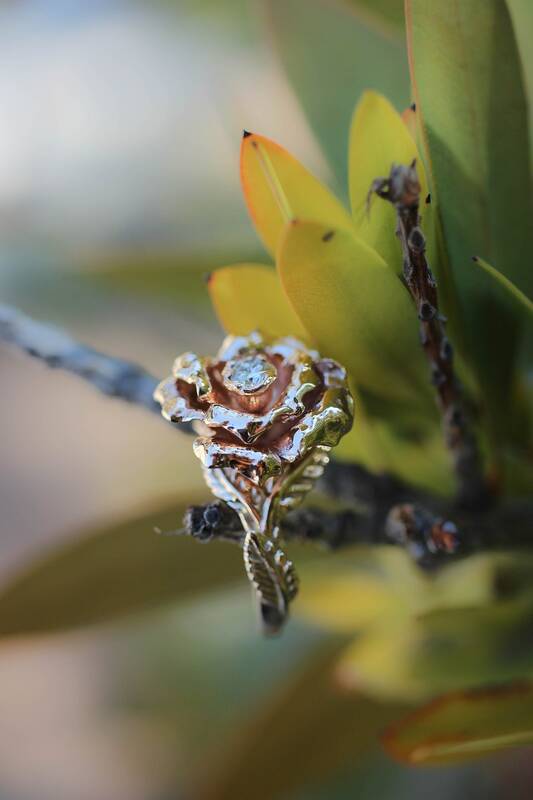 - we specialize in custom handmade jewelry and will be excited to make something unique and individual for you, please contact freely. This ring is stunning, I imagined finding a ring like it but was never able. I looked at rings without finding “the one” and almost settled, then I found this little shop. It is better than what I could have imagined. It is so beautiful I can’t stop staring! They were also so easy to work with and good at communication, answered all my questions quickly and in great depth, and the shipping was so quick! It arrived a couple of weeks before expected and I couldn’t have been happier!